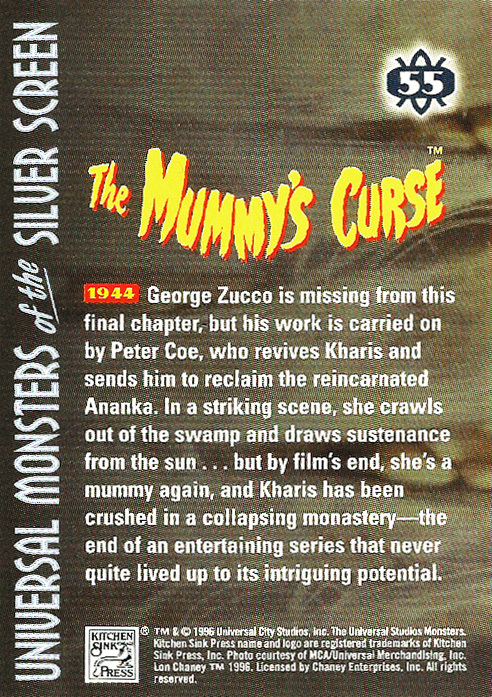 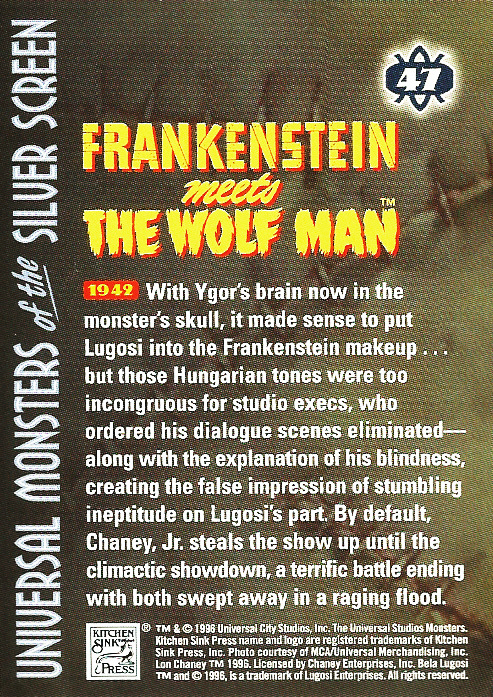 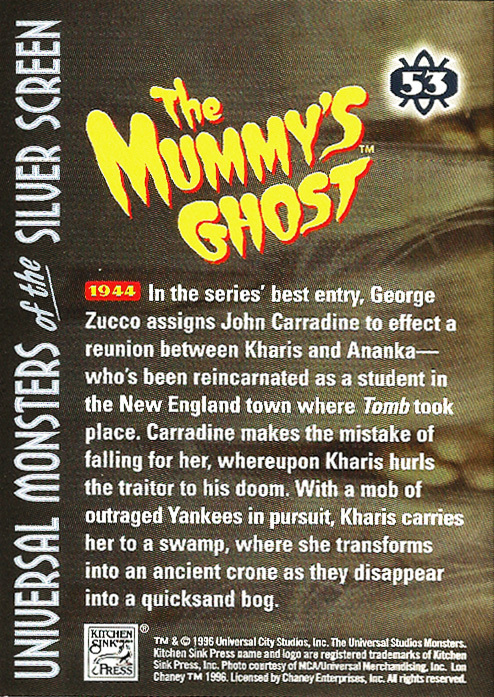 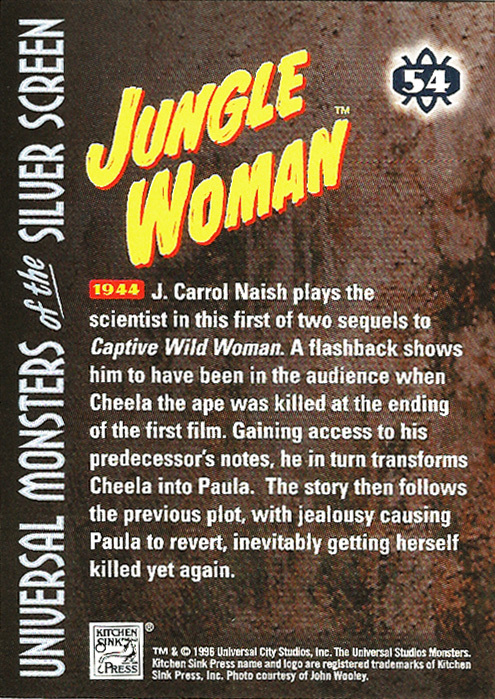 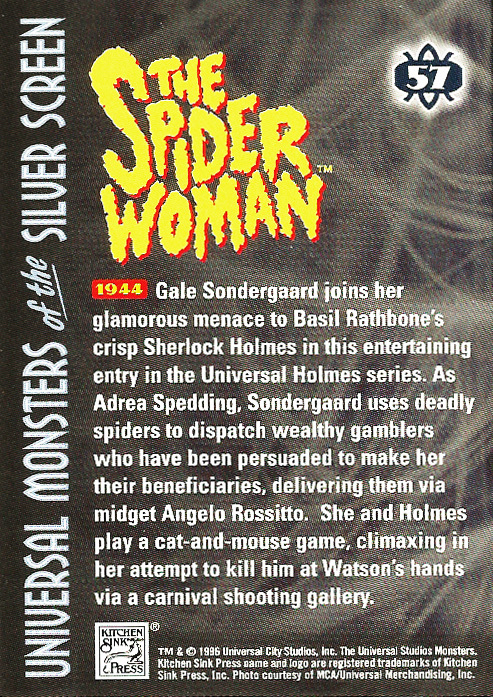 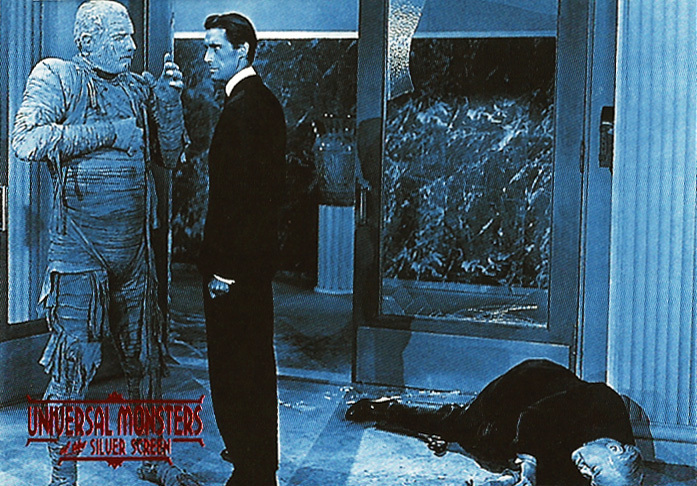 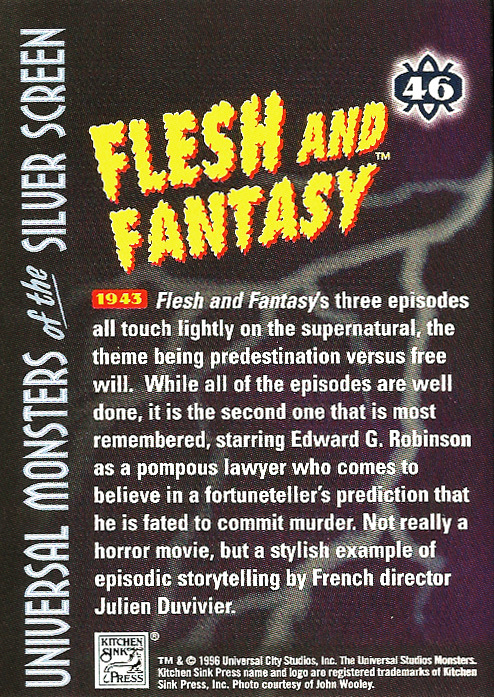 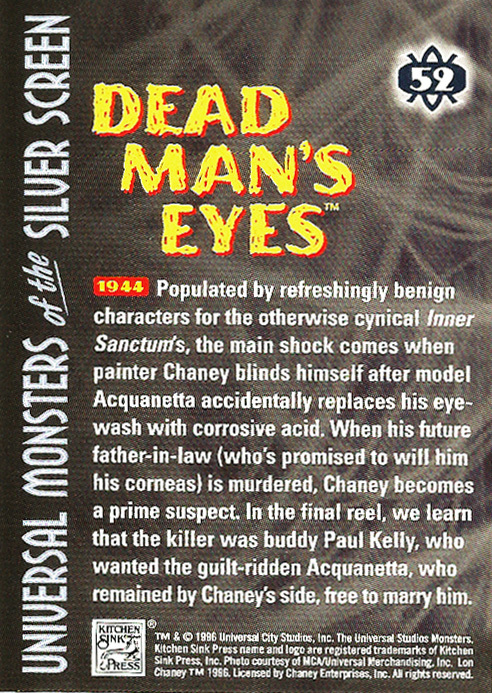 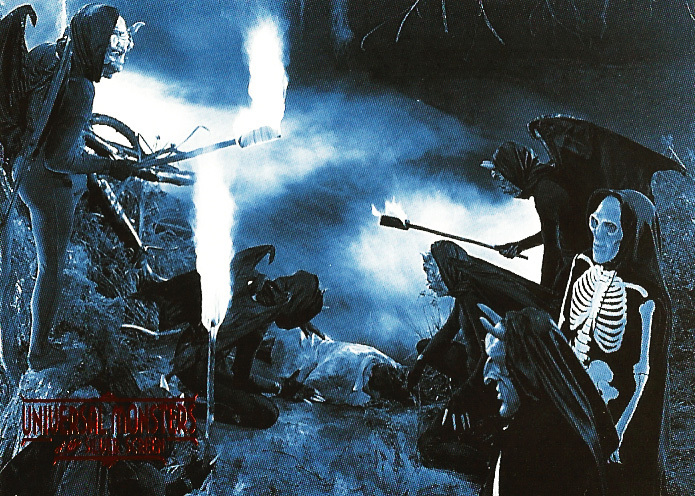 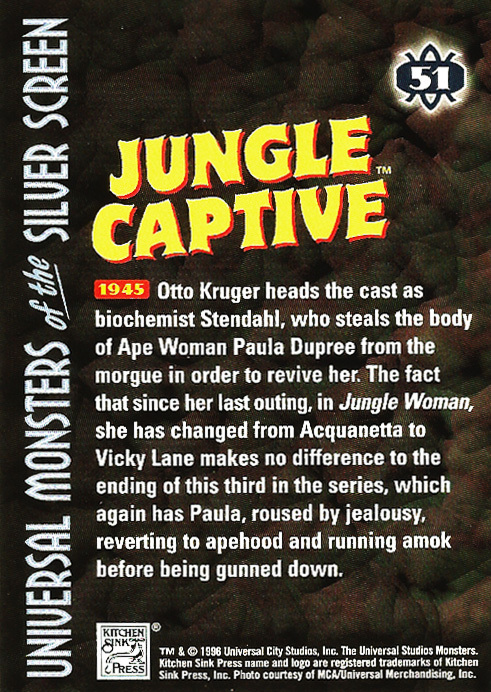 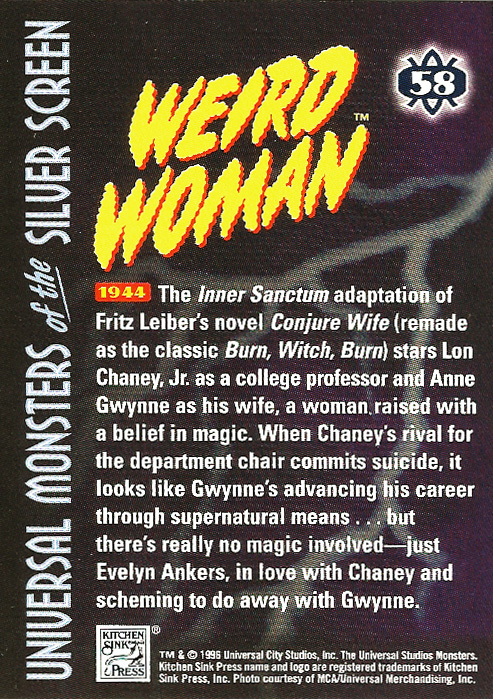 Universal Monsters of the Silver Screen Trading Cards, #46–60 (1996) | 'TAIN'T THE MEAT… IT'S THE HUMANITY! 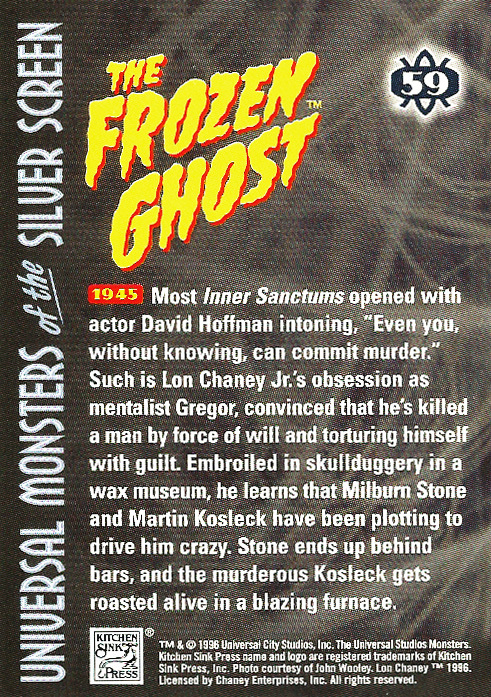 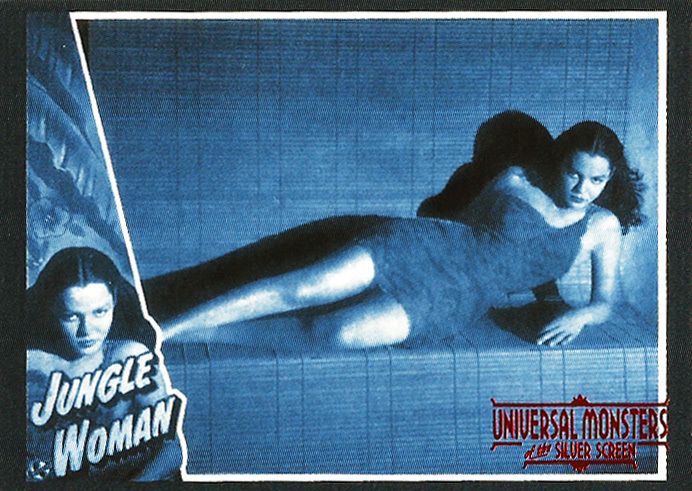 Here are cards #45-60 from Kitchen Sink Press’ Universal Monsters of the Silver Screen Trading Cards, originally released in 1996. 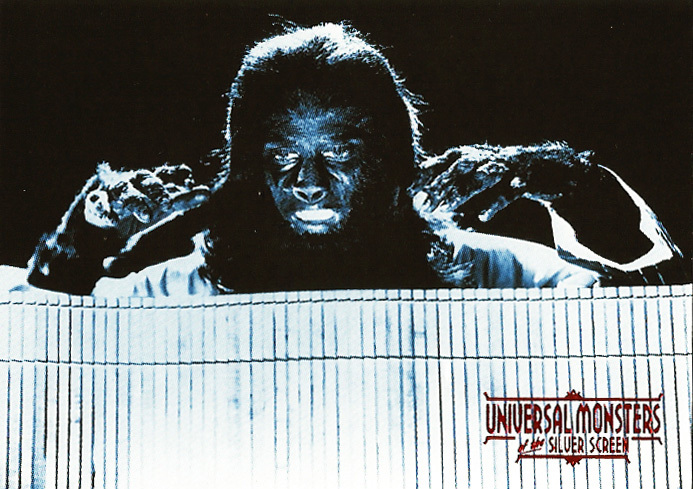 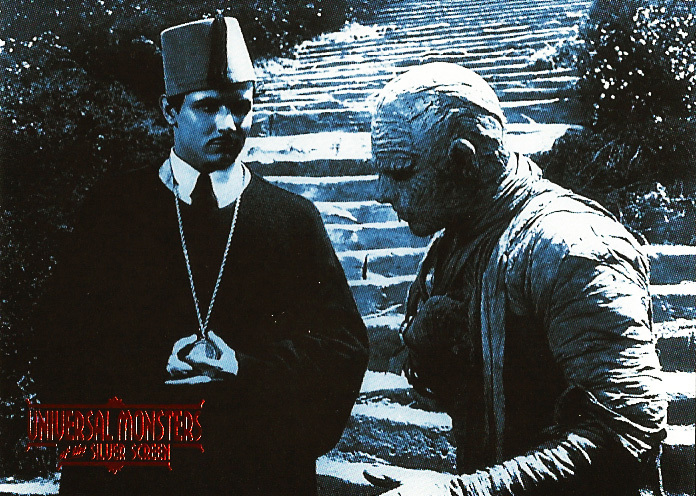 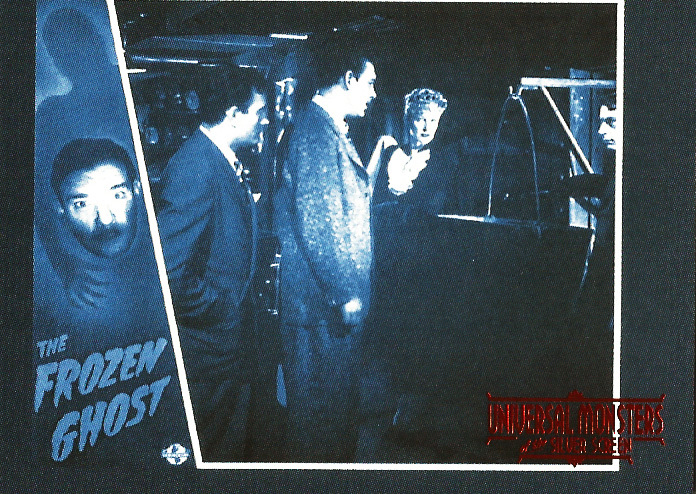 Universal Monsters of the Silver Screen consisted of 90 tinted base cards, 10 full colour lobby poster stickers, 12 chromium chase cards and one ultra-rare card. 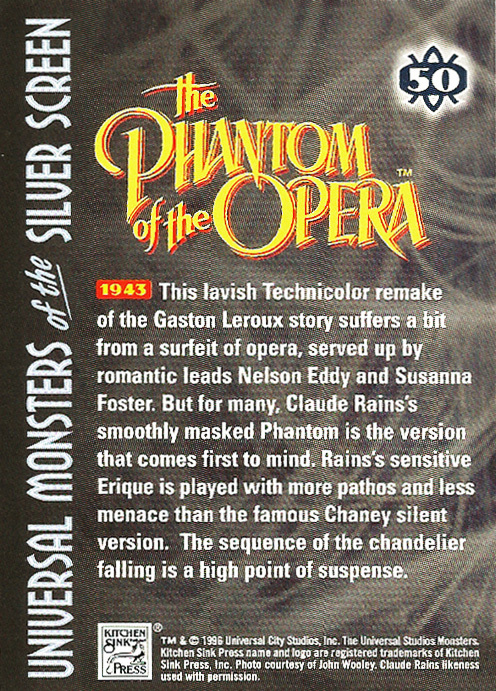 The cards measured 2.5 x 3.5 inches and each individual foil pack shipped with eight cards and one sticker. 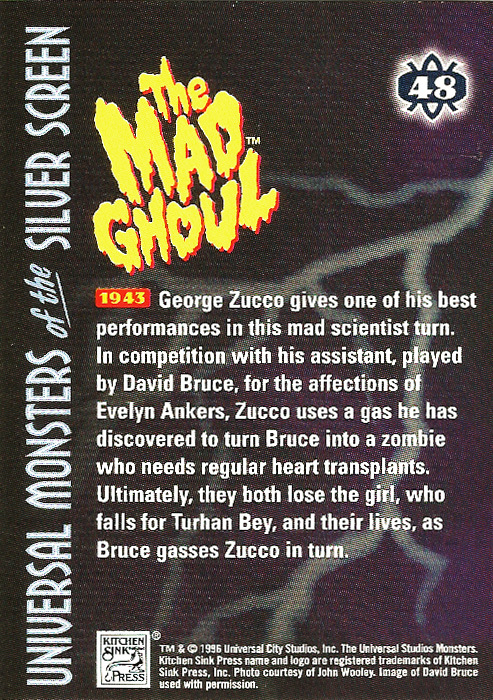 The base cards have red foil stamping on the picture side (a nice touch) and all the cards featured a short caption on their reverse. 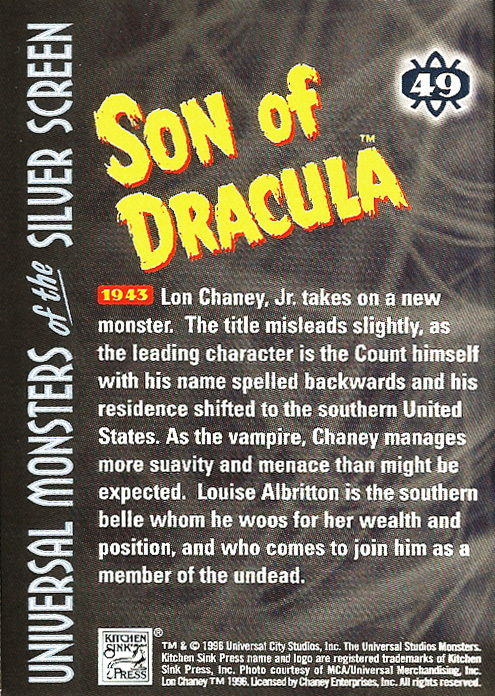 The 15 cards in this selection cover Universal’s horror and suspense output from 1943 to 1945, and it’s clear from this selection that the studio were playing it pretty safe. 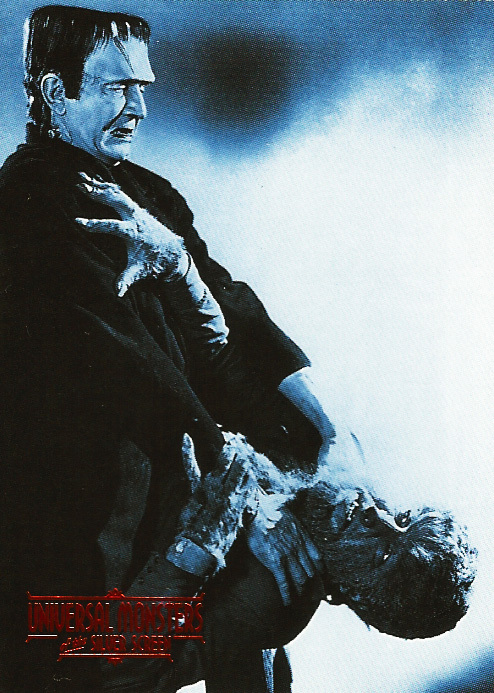 10 of the 15 films featured here are either sequels or remakes, and Universal were clearly cashing-in on the celebrity of its new star, Lon Chaney Jr, who appeared in four films during this three year period. 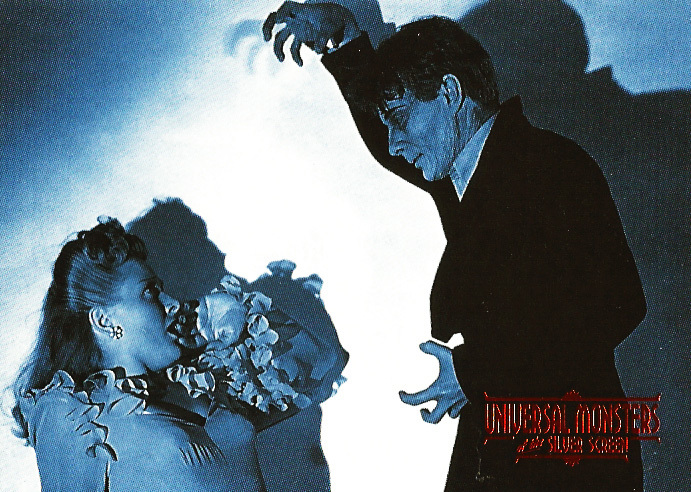 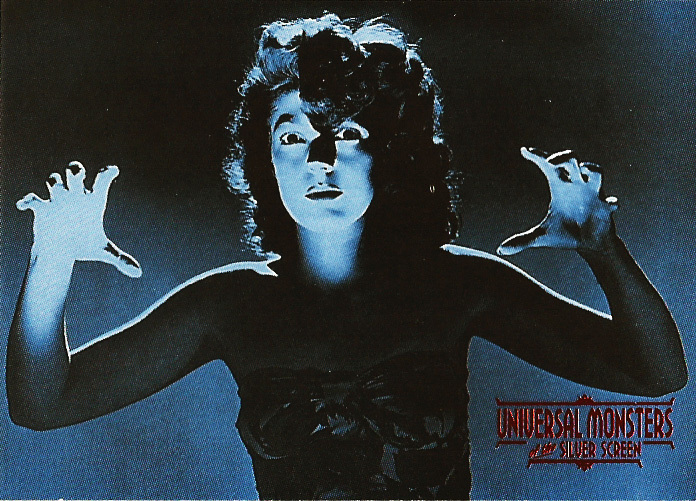 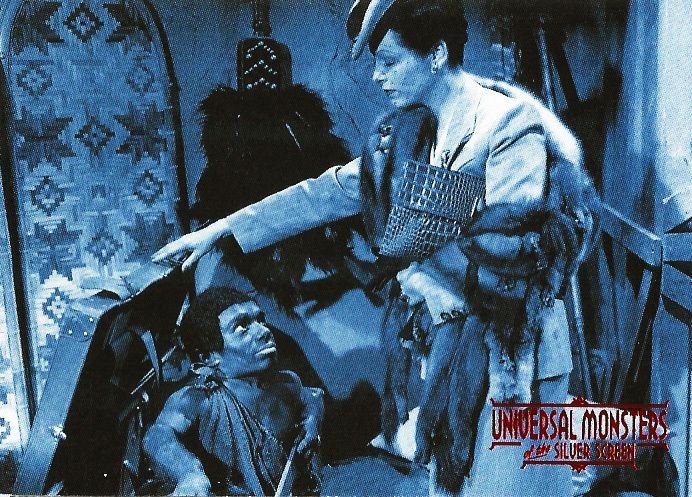 Despite Universal’s prudence there are some good films here: Flesh and Fantasy (1943) had some nice suspense elements to it; The Mummy’s Ghost (1944) saw a return to form for Universal’s Mummy franchise, while House of Frankenstein (1944) is noteworthy for starring Boris Karloff, who plays a prison escapee and not the monster that made him a household name over a decade earlier. 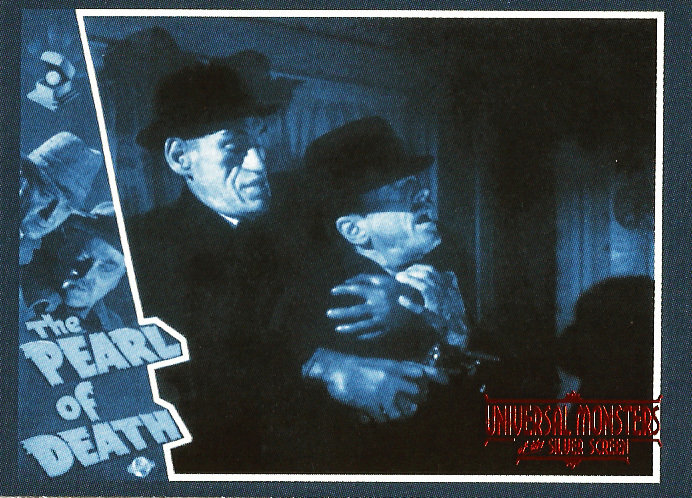 For me though the standout film from this selection is The Pearl of Death (1944), the ninth entry in Universal’s long-running Sherlock Holmes series. 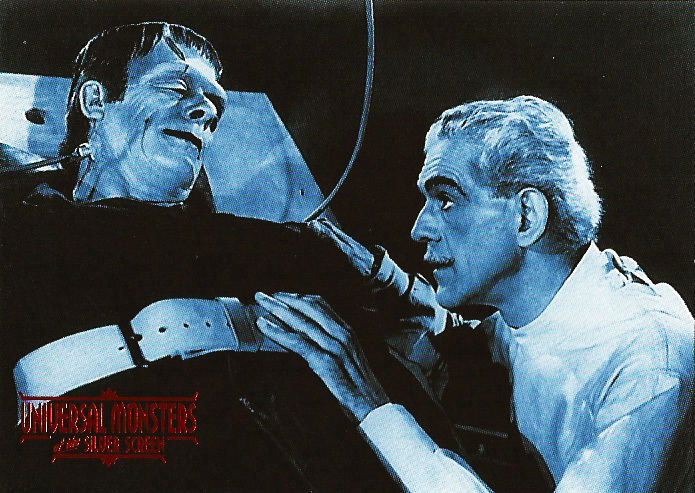 Apart from being a great movie it’s notable for the appearance of one of cult cinemas most popular stars: Rondo Hatton. 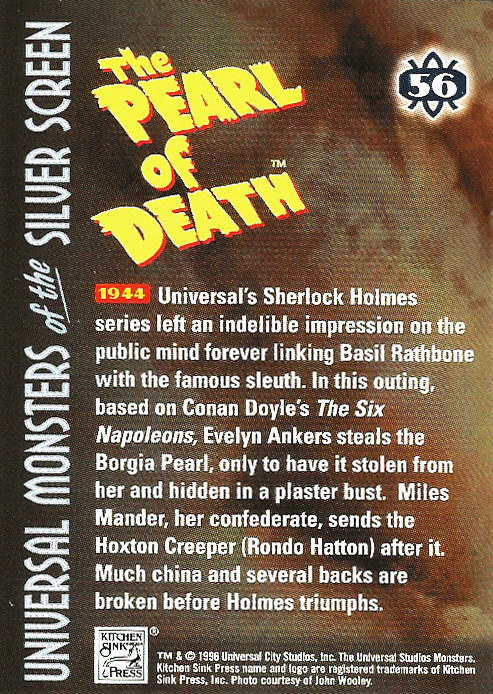 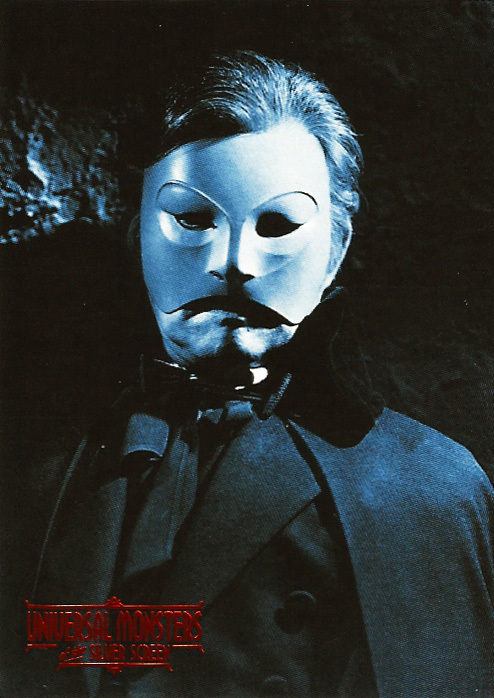 The Pearl of Death may not be a horror film in the purest sense but it generates some genuine suspense, thanks mainly to Hatton’s memorable turn as The Hoxton Creeper. 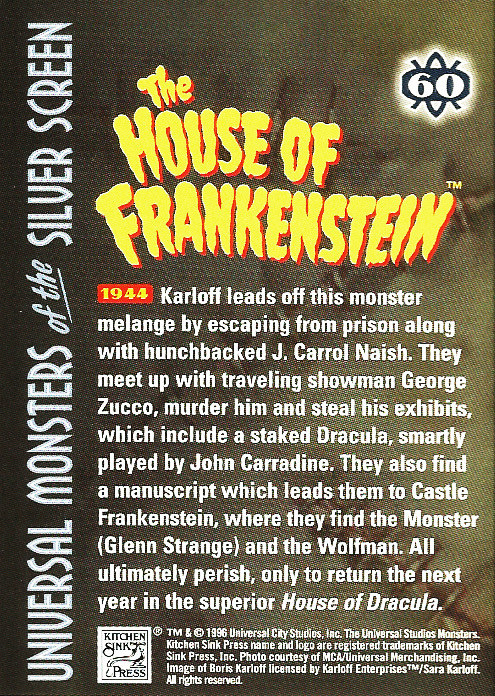 So here are cards #46–60 from Universal Monsters of the Silver Screen Trading Cards, both front and back. 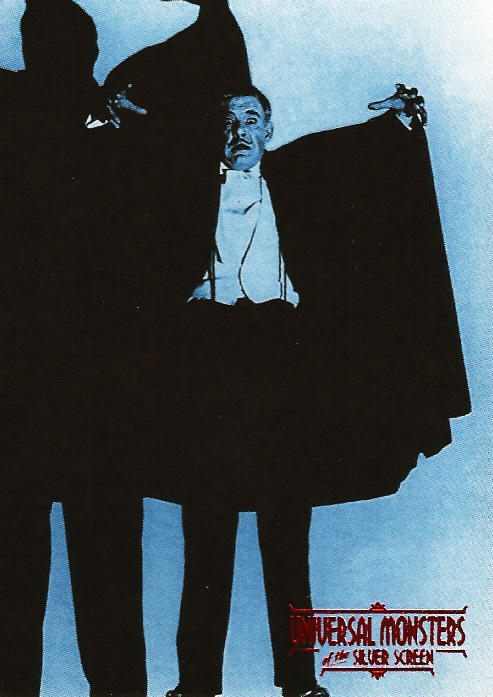 Cards #1–15 are here, #16-30 are here, and #31-45 are here. 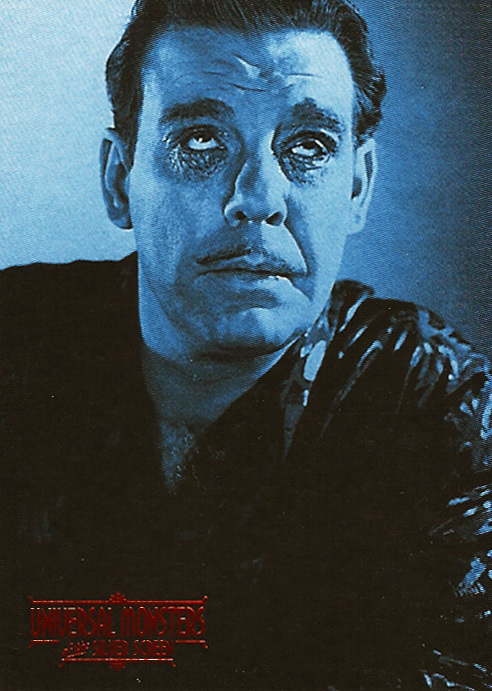 I’ll post another batch very soon.